Jerusalem Institute of Justice requests ICC open investigations against PA chairman, Hamas leader, for crimes against their own people. Attorney Uri Morad, who heads the Jerusalem Institute of Justice's Law and Public Diplomacy Department, submitted two requests for criminal investigations against Palestinian Authority and Hamas leaders. 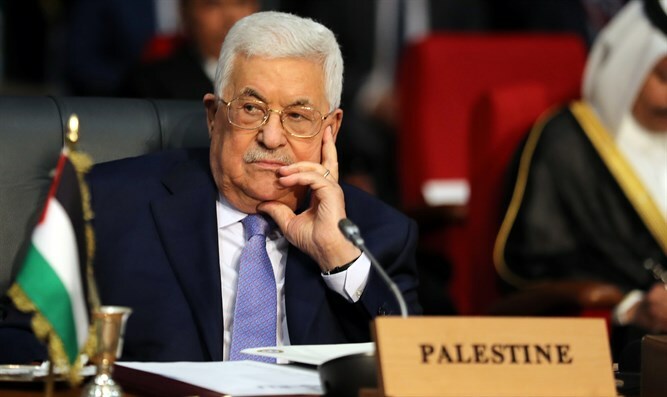 One of the documents request Palestinian Authority Chairman Mahmoud Abbas be investigated for crimes against his own people, including brutal terrorism, arbitrary imprisonments, torture, and murder. The second document requests an investigation of Hamas leader Ismail Haniyeh for cooperating in war crimes, including forcibly drafting children under the age of 15 for participating in terror against Israel and brutal terror. The Hague received both requests and told the Institute that they will be examined in depth to determine whether investigations are warranted. "Nothing has changed since...1949," an Institute representative said, emphasizing that the United Nations (UN) Human Rights Council's recent anti-Israel resolution and suggestion that the International Criminal Court (ICC) in Hague intervene is an "embarrassment and shame" for the UN. The resolution, passed on Friday, accuses Israel of human rights violations, including war crimes, for its response to violent riots and attacks on the Israeli border along the frontier with Gaza. "This is proof of how hypocritical international diplomacy is, and how the distance between justice and true protection of human rights, and the UN council of the same name is like the distance between heaven and earth," the representative said. "The Human Rights Council prefers to close its eyes to the violence and brutality with which Hamas and terror organizations force children and women to act violently towards IDF soldiers. But the Council's one-sided blindness doesn't end there, it continues to ignore the fact that Israel, the only democracy in the Middle East, subjects itself to internal and independent judicial criticism, and just recently announced that it will investigate the deaths of 11 Palestinians who were involved in Gaza riots." Beginning in March 2018, tens of thousands of rioters gathered on the Israeli border with the Hamas-ruled Gaza Strip, attempting to break through the border fence while hurling firebombs, stones, and flaming tires at Israeli soldiers. Gaza-based rioters also used bombs attached to kites and balloons to target Israeli towns near the border. The riots peaked on May 14th 2018, during Israel’s 70th Independence Day, coinciding with the unveiling of the US embassy in Jerusalem. Some 60 rioters were killed in clashes on the Israel-Gaza border, at least 50 of whom were from the Hamas terror group.